The National Low Income Housing Coaltion released this graph as part of their Out of Reach 2012 report. 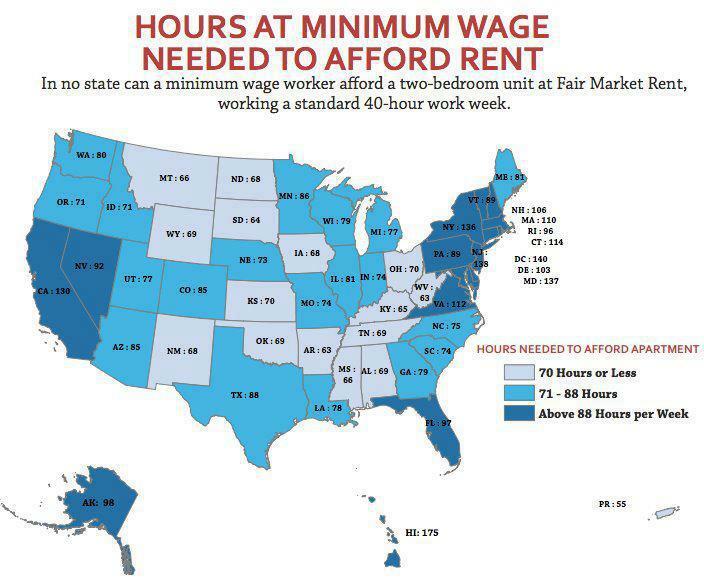 Bottom line: minimum wage is too low making Fair Market Rent on a two-bedroom apartment in any state simply unaffordable. Affordable here is defined as applying 30% of total income on rent–a generally accepted standard.